This never-ending summer has provided opportunities to grab brilliant sunny days for a little cruise or so. 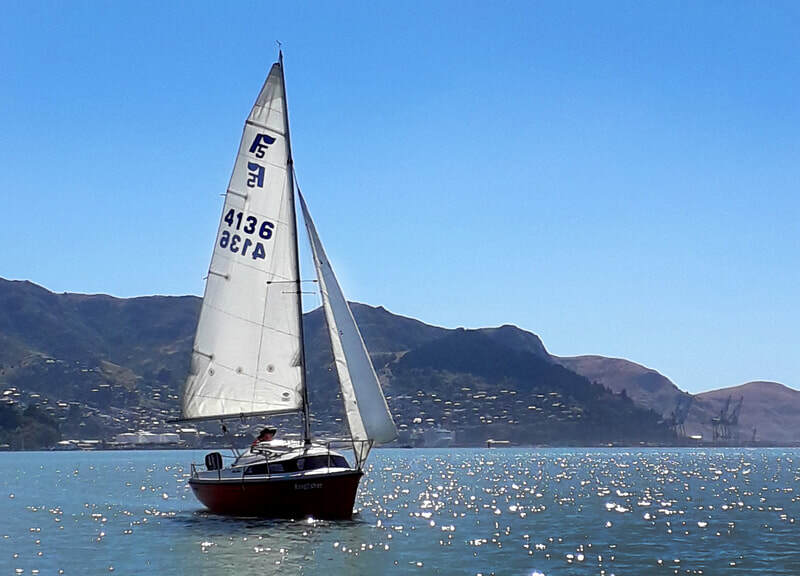 Three trailer yachts took to the waters of Lyttelton Harbour on a hot sunny Tuesday this February. 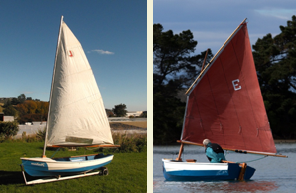 There was a beautifully restored Hartley 16 owned by Wes Purves and crewed by Ian Scott, aptly named Staying Alive, a Welsford Houdini of Ian Kington, crew Hugh Hobden and a younger Farr 5000 with solo sailor Mike Inns. 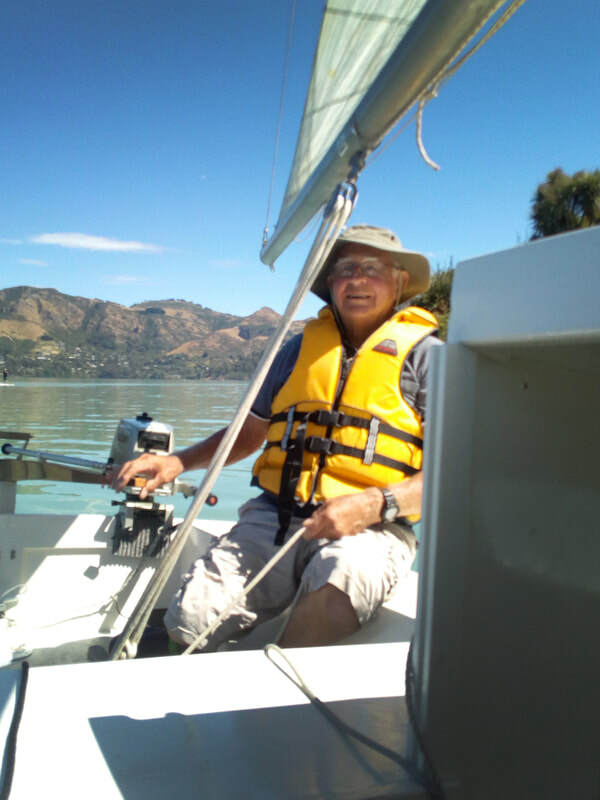 Ian Scott was the senior member of the crew who had not been out in a trailer yacht for many years, he thoroughly enjoyed the day, a very accomplished sailor. We launched from the Naval Point slipway mid-morning, dodging the freedom camper vans (mostly pairs of young women! 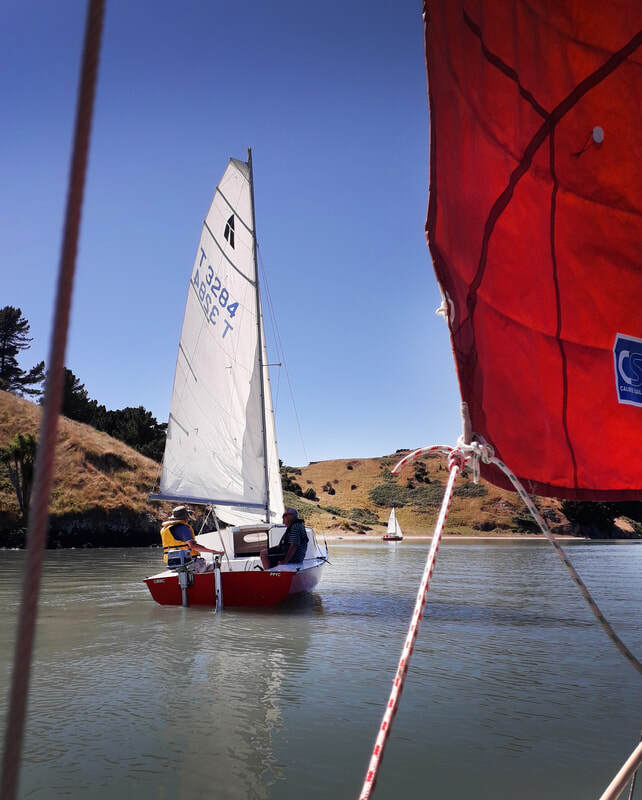 ), the aim was to sail around Quail Island on the high tide. It was a slow start with fitful puffs of wind from the East, but pleasant enough. Eventually we made our way to the SW end of the island, motors used occasionally. Mike had the best of it, the Farr gliding along ahead of the other two boats. 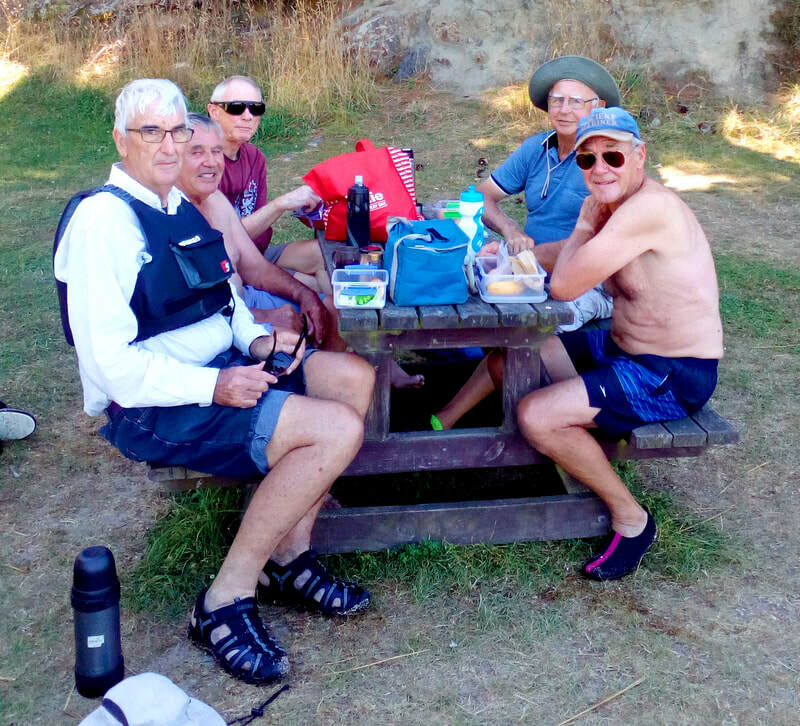 We made it through the gap between King Billy Island and Quail Island. By midday the temperature had shot up to 30 degrees and the crews were sweating it out – relief would be the shade under the trees by the barracks on the island and a dip in the sea. a hand for yourself and a hand for the ship was applied! Wally sailed much easier as wind and sea built even more – back to the slip to haul out, dodging old mooring piles and a work barge. The other two boats made a great sight heaving over the chop and storming into the launching ramp. Over coffee, we reflected on a great day's sailing that had a little bit of everything, all a little bit weary with the effort, but was worth it.